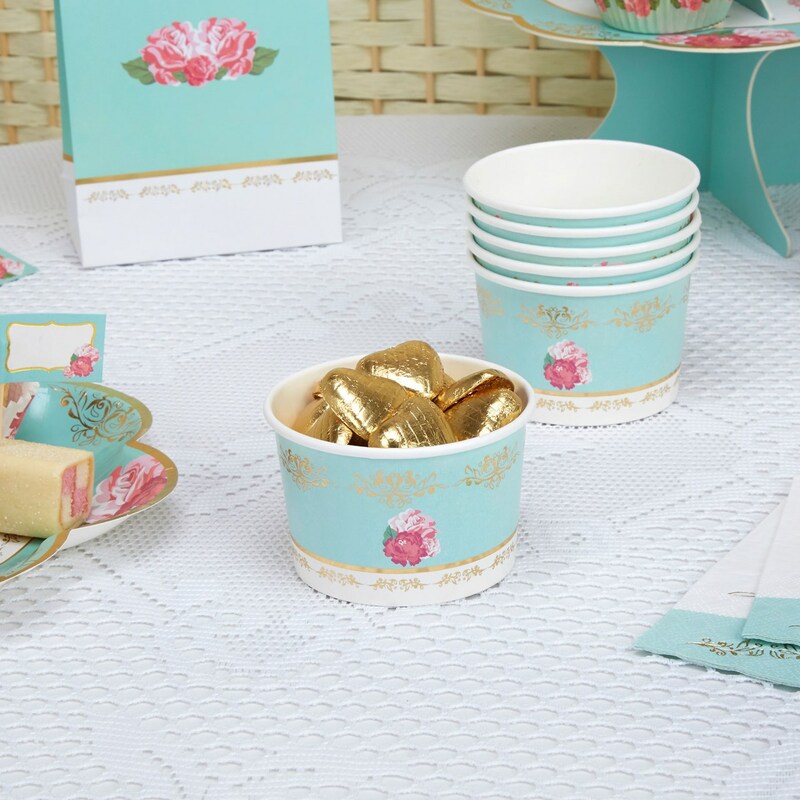 Make an occasion of afternoon tea with the gorgeous pieces in our Eternal Rose collection, including these treat tubs. Inspired by the floral designs on traditional china crockery, the pieces in the range feature a pretty palette of turquoise, white and gold, interspersed with clusters of roses. Perfect for presenting sweets, chocolates or desserts. Each pack contains 8 Treat Tubs.